Kirk Bell July 18, 2017 Comment Now! 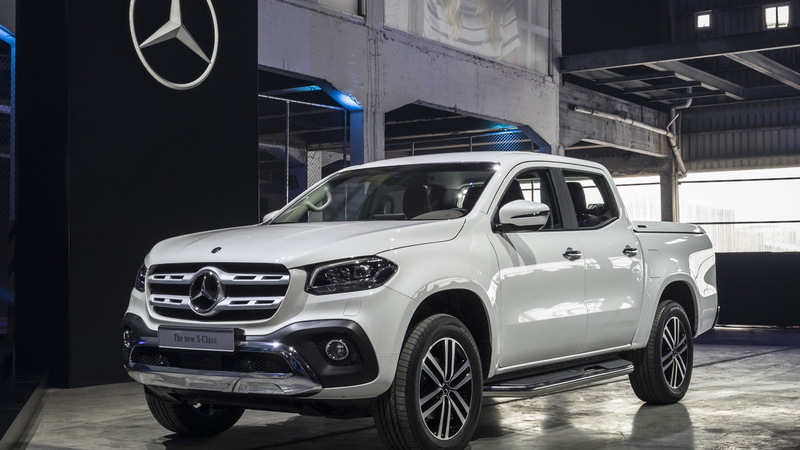 Mercedes-Benz chose Cape Town, South Africa to reveal the production version of its X-Class pickup truck. Why Cape Town? Because South Africa will be one of the markets where the truck will be sold, along with Europe, Australia, and South America. Mercedes calls the X-Class the world's first premium pickup. The gang from Stuttgart must not have ever heard the term King Ranch. 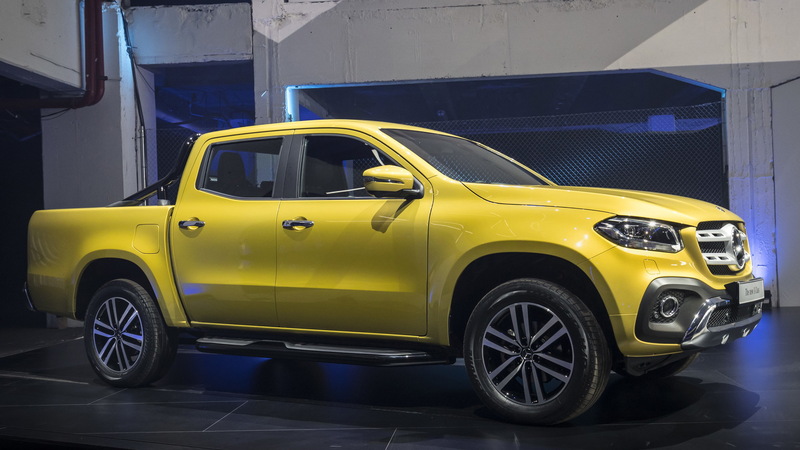 The X-Class will be initially offered with 4-cylinder gasoline and diesel engines. The X 200 model will feature a gasoline 4-cylinder making 163-horsepower and 175 pound-feet of torque. The X 220d will get a 2.3-liter single-turbo diesel engine producing 161 hp and 297 lb-ft of torque, and the X 250d will have twin-turbo version of the same engine churning out 187 hp and 332 lb-ft. Coming later will be the 6-cylinder X 350d, which promises to make 187 hp and 406 lb-ft of torque. Mercedes said a 6-speed manual or a 7-speed automatic will be available, as will rear-wheel and switchable all-wheel drive with low-range gearing and an optional locking rear differential. Some versions of the truck will be able to haul more than 2,200 pounds and tow more than 7,500 pounds. Mercedes-Benz didn't specify capacities for the entire range. 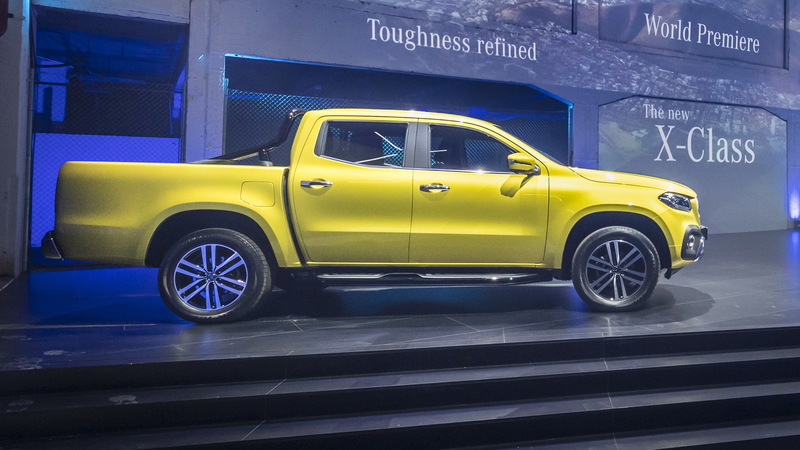 Mercedes based the X-Class on the chassis of the Nissan NP300 Navara pickup, which is a body-on-frame truck. However, the Mercedes version uses coil springs front and rear. The only other pickups in the United States with rear coil springs are the Ram 1500 and the Honda Ridgeline. However, the Ridgeline is a unibody truck built off the platform of the Honda Pilot/Acura MDX. The X-Class will be available in three trim levels, each with their own design elements: base Pure, mid-level Progressive, and high-end Power. Mercedes will offer numerous options and accessories, including soft and hard tonneau covers, a cap, a bedliner, a bed divider system, bed floor rails, and a "technical underguard," which we are guessing is a skid plate. The design of the production X-Class is not as attractive as the concept truck we saw last October. Even though we knew that truck would be a body-on-frame vehicle, its design looked like a unibody truck. 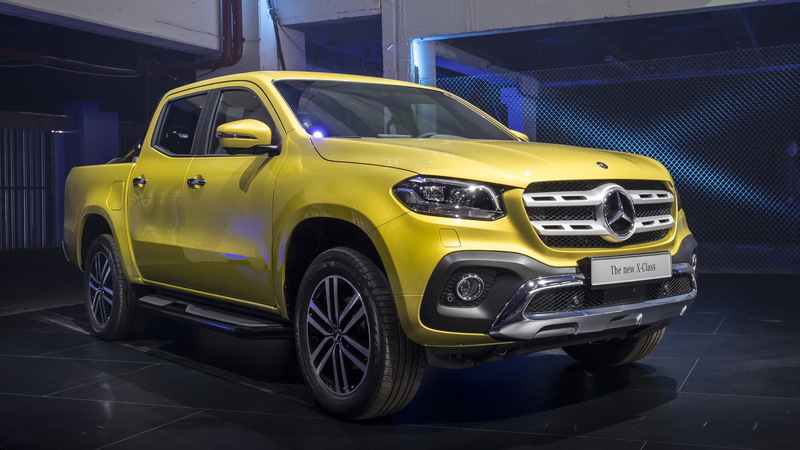 Like most Mercedes vehicles, the X-Class will offer several active and passive safety features, including active lane control, traffic sign recognition, and forward collision warnings with automatic emergency braking. It will also have the Mercedes ME connectivity features, which we don't get in the U.S., and the COMAND infotainment system with an 8.4-inch screen. 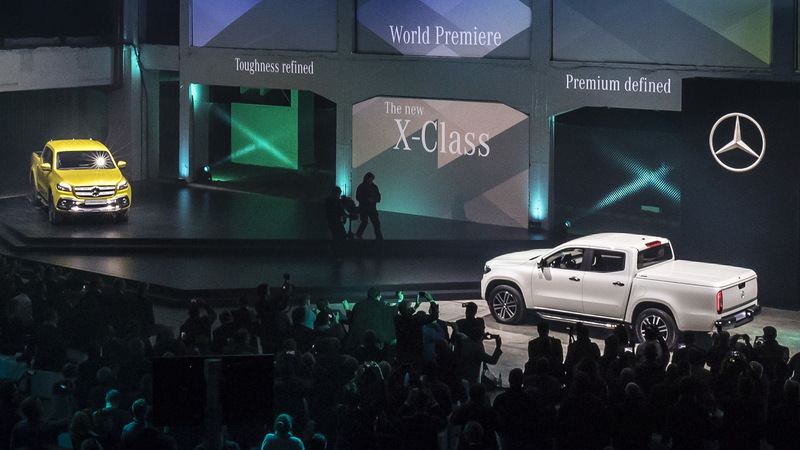 The X-Class will launch this November in Europe with a price of 37,294 euros in Germany ($43,125). It will be sold in South Africa and Australia in 2018 and hit Argentina and Brazil at the beginning of 2019. There are no plans for it to be sold in the U.S. If it would, it would have to be built here, or it would be subject to the brutal Chicken Tax.